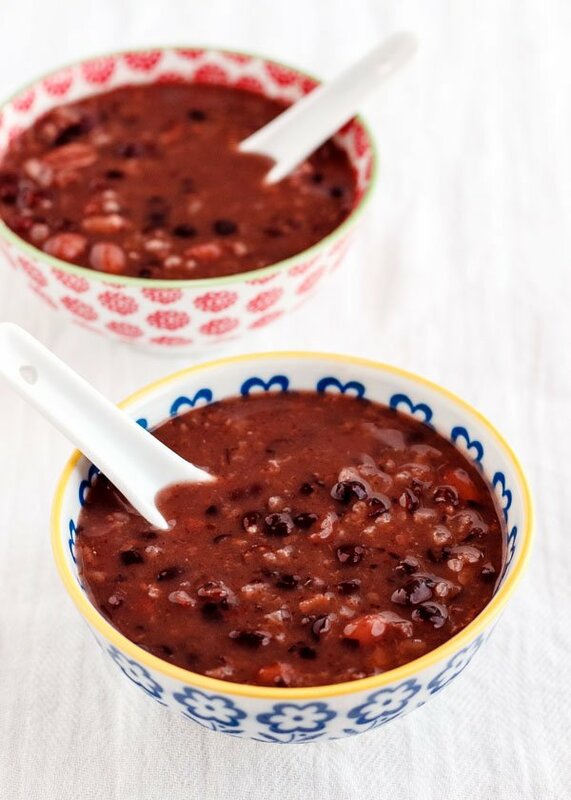 Red bean, adzuki bean, 红豆 or 赤豆, whatever you want to call it, this sweet and velvety bean pairs with sticky rice to make a silky chilled dessert for hot summer days. In China it’s often served with a scoop of strawberry ice cream. You can do the same. 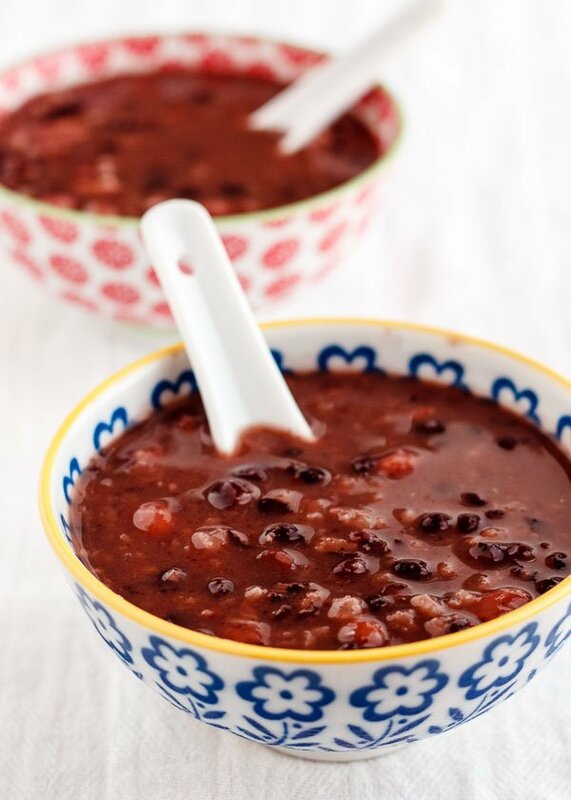 Mom said when she was younger, still living in Hangzhou, it was always a treat to buy a bowl of chilled red bean soup or congee from one of the vendors by the lake in the steamy summers there. 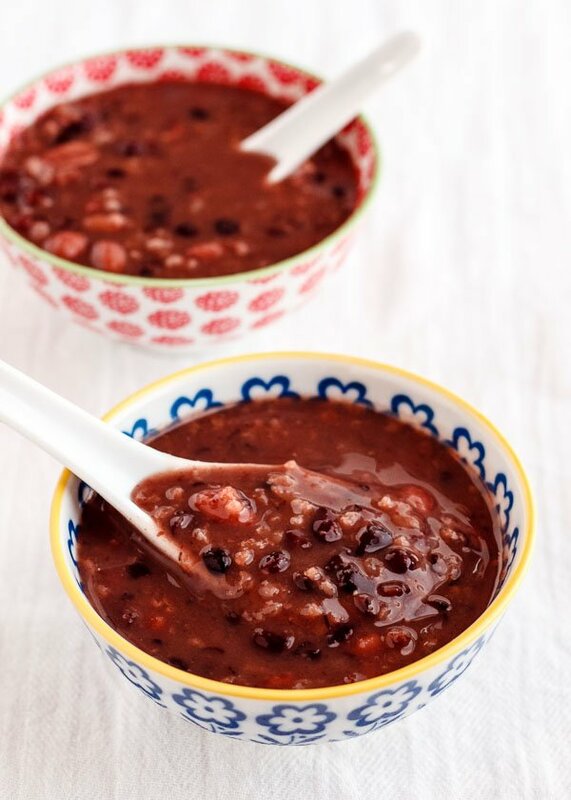 We eat this hot too, in the winter, and sometimes unsweetened, as a porridge to go along with dinner, but I like it best chilled and sweetened with cooling rock sugar for breakfast, as a snack, or for dinner on hot summer nights when you can’t be bothered to turn on the stove. 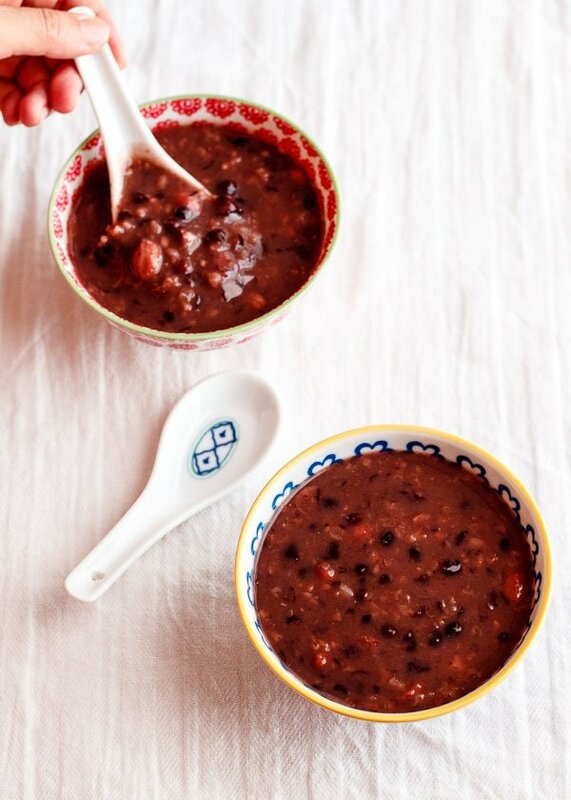 Dessert soups are quintessentially Chinese, and they almost always double as breakfast, since they’re only lightly sweetened and, because of their consistency, go down as easy as a piece of fruit. Unlike a rich dessert that sits heavily in your stomach on top of all the food that came before, Chinese dessert soups are meant to cleanse your palate and sometimes even aid in digestion. 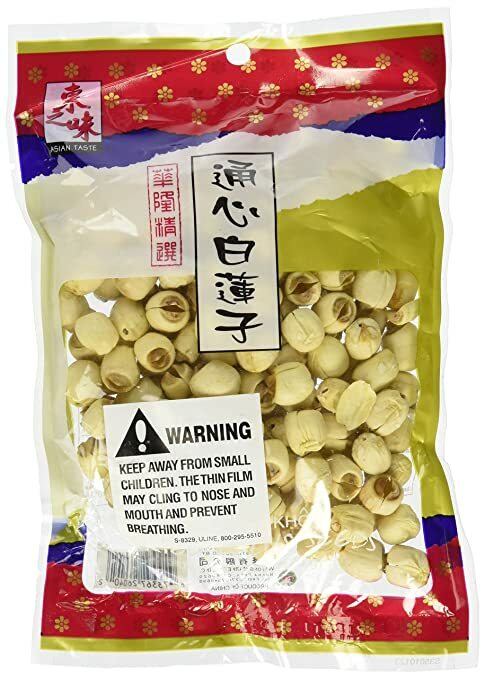 This one, for example, is quite high in fiber and contains detoxing lotus seeds. This congee is as much about texture as it is about taste. The texture is super comforting. You hardly need to chew. Just slurp. 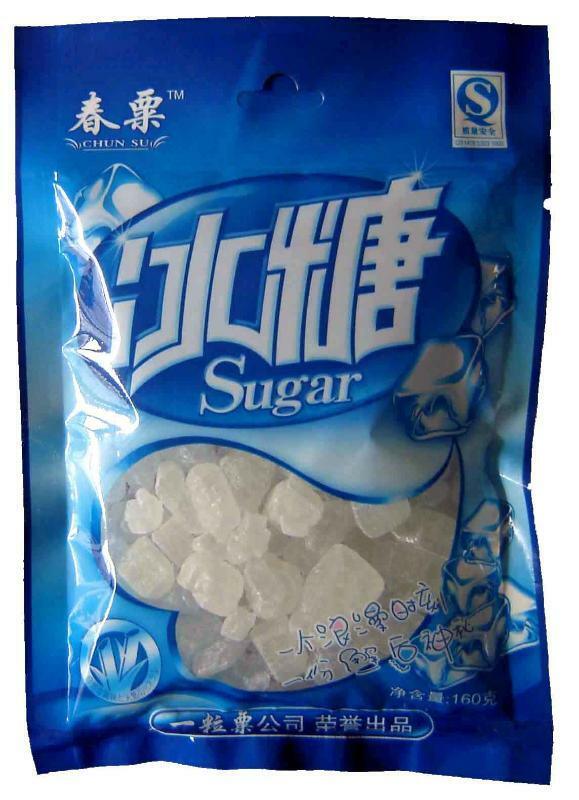 I highly recommend buying the ingredients from a Chinese grocery store. Even the smallest market will stock all of these basics, and the cost will be a tiny fraction of what you'll pay elsewhere. You'll also be able to gather everything from one or two aisles, instead of hunting down each ingredient individually. I've linked sample photos to each ingredient. You can show them to a store clerk and they will be happy to help! If you want to shorten the cooking time, you can soak the red beans with the peanuts for 2 hours first. A longer soaking time is fine too. Just reduce the amount of water below to 7 cups if you pre-soak. 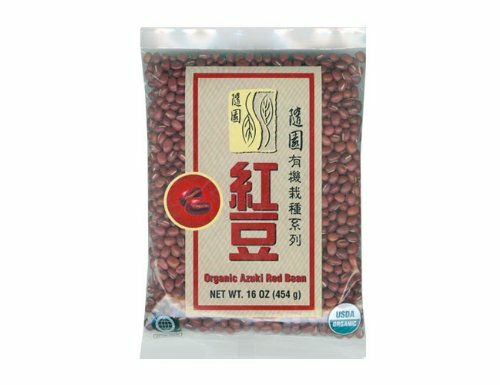 Wash and drain the red beans and lotus seeds. Bring 8 cups of water to a boil in a large pot (I used an enameled dutch oven). Add the red beans, lotus seeds, and peanuts. Simmer for 2-3 hours for pre-soaked beans and 4-5 hours for unsoaked beans, stirring occasionally, until the beans start to fall apart. You can do this in a slow cooker as well. The longer the better. Wash the rice and add it to the pot, draining it through your fingers. Simmer for another hour, stirring frequently, since rice tends to stick to the bottom of the pot. When the beans have mostly disintegrated into a velvety soup, turn the heat off and stir in the rock sugar. Let cool to room temperature, then refrigerate until fully chilled. Serve cold, with a scoop of ice cream if you like.